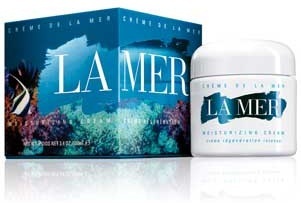 Unlike major cosmetics, using Crème de la Mer lasts much longer, with the average use being about one year for the standard jar. 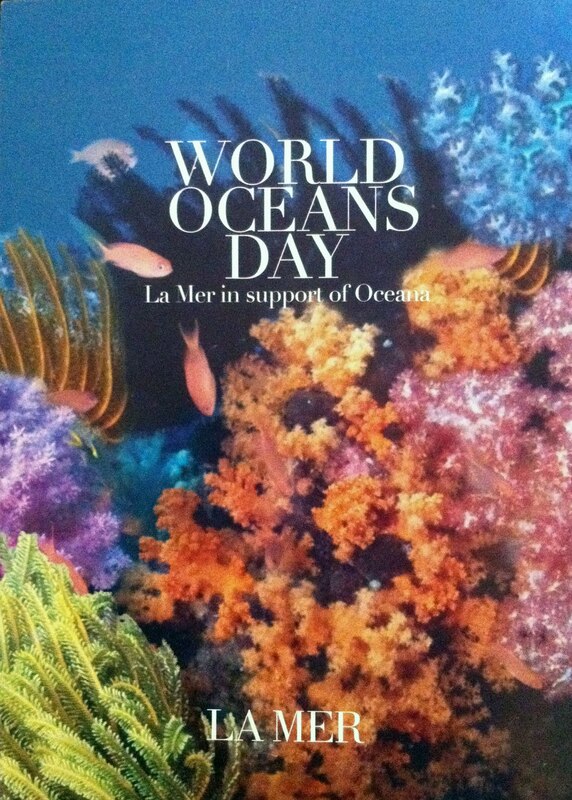 Some of the items in my collection I rarely use, like the SPF (oh shush, I know), I think I got it about 2 years ago, so a question came to mind – How long does Crème de la Mer keep?. 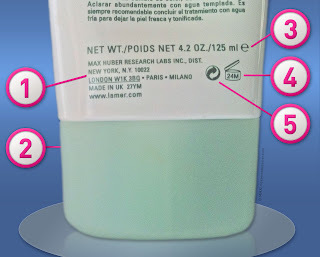 While having the La Mer Facial, is asked the La Mer Expert, who educated me that their products have a little symbol on them shaped like a jar, showing how long the contents will last once opened. 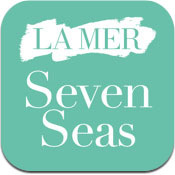 This is called the Period-After-Opening (or PAO symbol), which identifies the number of months we can use the product from when it has been opened, so “24M” would be 24 months, or 2 years, which is the majority of time that La Mer’s products lasts. 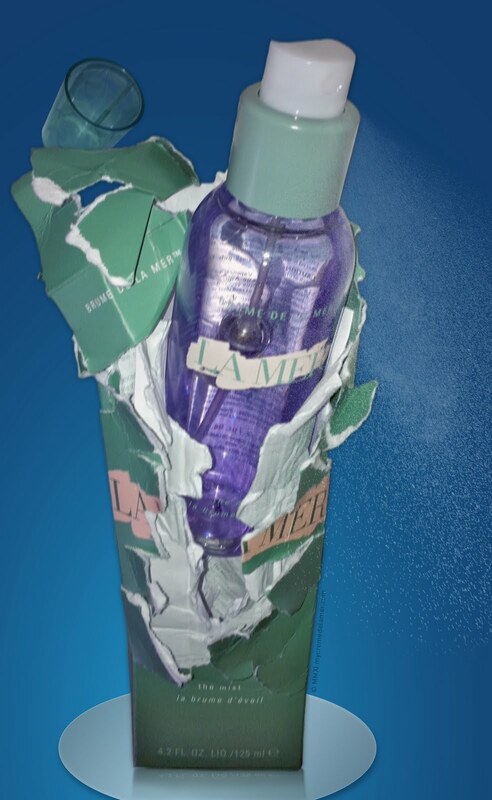 My Eye Concentrate started to split once it passed the 6M mark, so make sure you use your La Mer products in time. This date only takes effect once you've opened your products, provided they are not exposed to extremes of temperate, on top of the shelf life of 3 years from the date of manufacture. Items like the Lip Balm , doesn’t display this symbol because In the EU, cosmetics with a shelf-life of at least 30 months are not required to carry a date. The other exceptions are the Mascara, Nail Lacquers and Self-Tanners, which should be replaced six months after opening. 1.) Manufacturer and distributor of the product and where they are located. The underlined London address is to indicate the main contact office in the EU, for product inquiries. Country of Origin: The country that produces the product. 2.) Batch: Usually located at the bottom, the batch number or manufacturing code of the product, ex. C60 or B70, this is to determine where the product was formulated and the equipment that was used. 3.) Net Contents of the amount of product in the package. The “e” symbol is a guarantee that the quantity of the product printed on the packaging is correct. 4.) 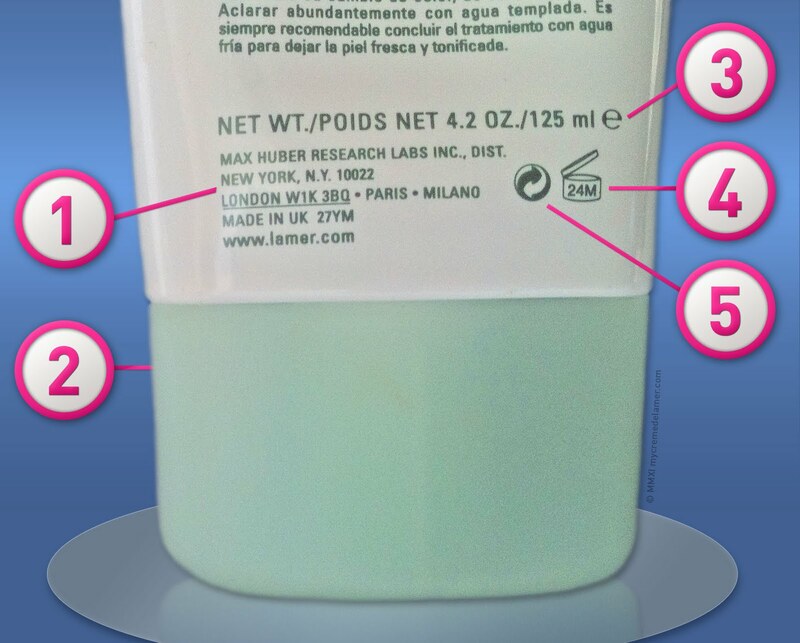 Period After Opening symbol “jar” or “lid” symbol indicates the recommended number of months within which the product should be used after it has been first opened. Represented compactly as a number of months, followed by the letter “M” (“24M” for a period of twenty four months). The letter “M” is the initial for the word month not just in English, but also in many European languages. 5.) The Green Dot Symbol doesn't refer to recycling as commonly thought. It is a hallmark of European legislation that refers to waste management. La Mer takes into consideration the negative effects that oxygen and UV light have on products, which we can see in the tube design of The Oil Absorbing Lotion and The Moisturizing Lotion . Also the cover between the jar and the lid of The Crème , The Gel Cream , The Eye Concentrate and Eye Balm Intense act as protection. Now I know why my mother got upset when her 9 year old son threw all those covers away! The translation from French for Crème de la Mer’s The Mist gives it the best possible description – ‘The Mist of Awakening’ – and that’s exactly what it does, awakens, hydrates, and uplifts your skin’s energy level with the highly charged, ion-rich waters. The Mist moves through a patented floating magnet that charges and optimizes the ingredients. I’ve only seen this technology being used by BevWizard for wines, with a definite refinement in taste. Ancient Egyptians physicians used magnets for therapeutic use, curing diseases, skin conditions, and slowing the effects of aging. Cleopatra is said to have worn polished Lodestone (Natural Magnet) on her third eye, with a conviction that it helped maintain her youth and beauty.